Kissui Meatliks And Steels Pvt. 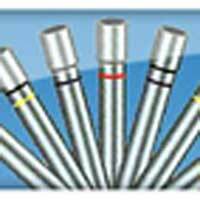 Ltd.
Kissui Metaliks And Steels Pvt. Ltd. is a prominent Manufacturer, Wholesale Supplier and Exporter of a proven range of Galvanized Coils /Sheets, Pre-Painted Galvanized Coils and sheets, Galvanized Steel Tubes, Precision Steel Tubes, Stainless steel pipes, Stainless steel coils, ERW Pipes, Galvanized Steel Pipes, Steel Square Tube, Galvanized & Pre-Painted Corrugated Sheets, Pre- painted Trapezoidal / Tile Profile Sheets and PUF Panels etc .Our range of products is manufactured from optimum quality materials and using cutting-edge technology. 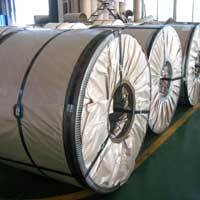 Moreover, these products are manufactured as per international quality standards thus demanded by various industries. We are an ISO 9001-2000 Certified Company and have been successfully catering to the requirements of the clients in the domestic as well as international market. Our well-equipped infrastructure and skilled team of workforce greatly contributes in the growth of our company. Today, we have marked a distinct position for ourselves in the global arena. © Copyright 2009 - 2010. Kissui Meatliks And Steels Pvt. Ltd.